ooVoo 3.6.6.26 Video Conference Download. Instant Messaging, Video Conferencing. oovoo software for video conferencing with several people. ooVoo is a program that allows video with excellent image and sound, with up to 12 people at a time, being a good alternative to Skype. Like the latter, it also provides an economic service calls (VOIP) from your PC or mobile to a conventional telephone number. Besides videoconferencing allows the exchange of text (chat) and file, similar to other instant messaging programs like MSN Messenger, Yahoo Messenger or Skype features. ooVoo has a tool that lets you share your desktop remotely, ideal for remote presentations and show an application or document to the other participants of the videoconference. You can record a videoconference session and save video or upload to YouTube directly and easily, with just a few clicks. Allows you to create widgets with the user's photo, which can be included in web pages, eg on hi5 or MySpace profile so that other users can add and chat or make a video. It has a very attractive 3D interface is easy to use and is completely free; These factors contributed to this application has grown in popularity and is increasingly used. Download ooVoo 3.6.6.26 Video Conference. 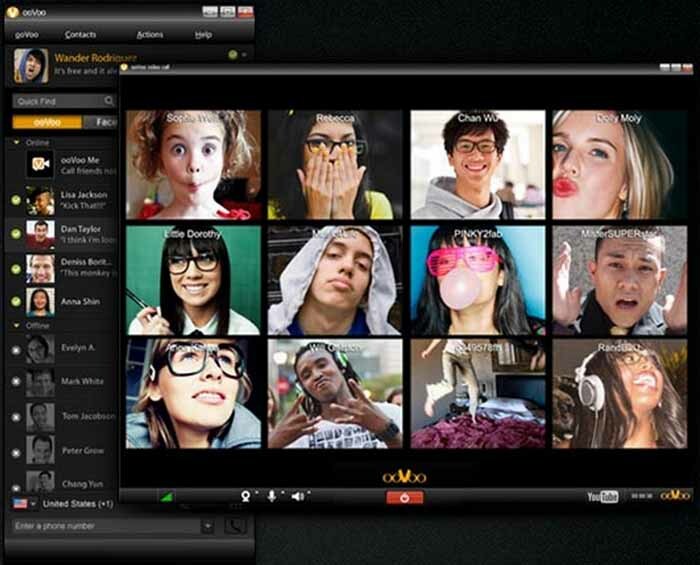 ooVoo 3.6 (3..6.26) is the latest (updated January 2015) version, which is available for Windows, and ooVoo 4.1 (4.1.1.36) the latest version for Mac. There are also versions for cell phones with system Android and iPhone or iPad, which allow free calls (via Wi-Fi) from your mobile device. This version is free and no longer has restrictions on the total number of users who can simultaneously participate in a videoconference: 12 users maximum quality high definition (HD) and the ability to record meetings; existing a Pro version also lets you record the sessions on their own servers, allows sharing the screen and it does not display advertising.